Joining your local information and support group is a great way to find out about the TBI-knowledgeable health care practitioners in your area as well as to meet people in your area who are dealing with the same things you are. Think about volunteering to help run--or start--a live or online email support group for your area, if there isn't already one in your geographic area or the one that was there has gone extinct. A big problem with diseases like CFS, FM, CMP and Lyme/TBI, is that they are always run by people who are sick who are trying to help other people who are sick. Unlike other types of health-related information & support groups that are often better funded and run or strongly assisted by healthy people who have family members suffering with the disease, CND groups are left struggling along by people who can all to quickly become burned out by over-extending themselves. Because of the burn-out factor, groups may come and go, so any directory listing is going to end up being more or less out of date, depending on whether groups listed in the directory notify the person maintaining the directory that they are closing or the contact information is changed. And the person maintaining the directory may become too ill to continue or to actively hunt down new and changed information, leaving an increasingly out of date listing on the Web. So, use the following resources with that understanding. If you can't find what you are looking for, check out major online forums such as Lymenet.org, and post your inquiry for groups or contacts in your area. 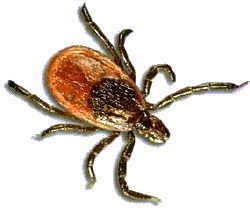 If you live in Sonoma County (California) or adjacent counties and suspect or have recently been diagnosed with Lyme or related tick-borne infections (TBI), and you would like some help teasing out the good vs. bad/confusing information information on Lyme and TBI diagnosis, treatment, symptoms, treatment side effects, and useful Lyme-related email lists, consider contacting Sonoma County Lyme Info, a by-email source of information. The people behind the email address: Janet, who was diagnosed with CFS over a decade ago, and learned that she has Lyme and another TBI several years late. Janet was instrumental in Susan and Susan's son being tested--with both turning out to be positive for Lyme. Both Janet and Susan have been very helpful to many of us in the County as we try to find our way through the confusion surrounding (and caused by!) neuroborreliosis and other TBI.